"American Spirits: The Rise and Fall of Prohibition" returns to the National Constitution Center. "American Spirits: The Rise and Fall of Prohibition" is set to open at the National Constitution Center on Friday, March 3. 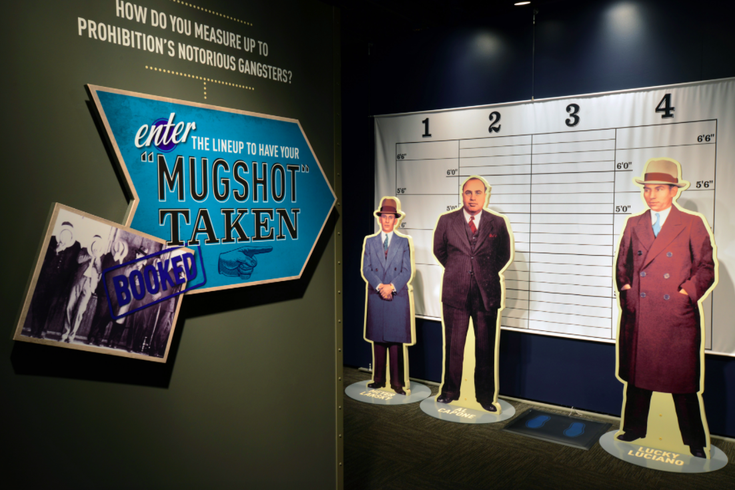 The exhibit, which uses both artifacts and interactive activities to transport visitors to the 1920s, was first on view at the museum in 2012. Due to its popularity, it's back for round two. • Original ratification copies of the 18th and 21st Amendments. • Al Capone’s guilty verdict, which convicted the crime boss of not paying taxes on money earned from his illegal operations. • Flapper dresses and other women’s and men’s fashion accessories from the 1920s. • Original home manufacturing items used for making moonshine, home-brewed beer and other illegal and highly potent liquor. As for interactive components, there will be infographics, video games, newsreels, quizzes and a speakeasy. Tickets to "American Spirits: The Rise and Fall of Prohibition" are an additional $3, after general admission fees. Members can view the new exhibit for free. It will be on display through July 16. "American Spirits: The Rise and Fall of Prohibition"